Galway’s location – on the River Corrib between Lough Corrib and Galway Bay, and surrounded by County Galway – makes it the prefect spot for adventure-seekers to hunt out their next thrill. The beaches, lakes, and the vast countryside are the perfect blank canvas to begin your trip, so here are the best spots in Galway for you sporty types. First off, a base is paramount – somewhere to lay your head after a long day’s adventuring. The Travelodge in Galway sorts that out, now it’s time for the fun. 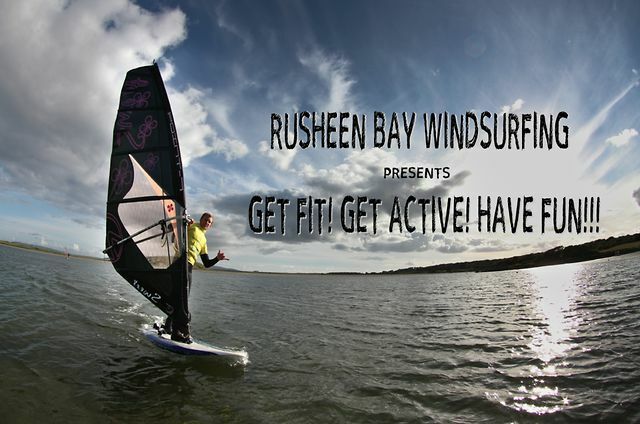 Just 5 minutes from Galway city, Rusheen Bay Windsurfing School is Ireland’s premier center for the sport, and all the watersports you can think of. The staff are some of the best in Ireland, and the equipment is top notch, making this your first stop for anything aquatic. The clue’s in the title with these guys: The Killary Adventure Company have it all, from guided and self-guided active vacations to cycling, hiking, walking, sea-kayaking, horse-riding, diving and a cultural Celtic experience tour. There’s something for all adventure hunters at this place. This is probably the ideal location for thrill-seekers with little ones. Nothing is more exciting than navigating through a dark cave, but luckily, nothing is safer now that Aillwee Cave has been thoroughly explored and made available to the public. You can also try your hand at some of Ireland’s most ancient techniques, like Wood carving, Bow making, Forging, Willow Craft and Pole-lathe. An outdoor activity centre based in Galway, this place is ideal for a hearty stag or a family day out. As the name suggests, go karting is readily available, as is a thrilling game of paintball to find out who the real solider in your group is. It’s not all Galway has to offer, but the active ones among you would do fell to find a better-served area for an adventurers holiday. What’s more, you don’t need to spend money if you really don’t want to, as Galway’s impressive countryside represents the perfect chance to traverse some of Europe’s most challenging and beautiful hills. *Note: This is a sponsored guest post, written by Catherine Lavinia on behalf of Travelodge. Go ahead and book your holiday today!